A 58-year-old job applicant sued his potential employer because he was turned down for a position as in-house counsel. The job description required applicants to have “3 to 7 years (no more than 7 years) of relevant legal experience.” The applicant had more than seven years of experience. A 29-year-old applicant was hired. The applicant sued, claiming that the Age Discrimination in Employment Act (ADEA) protected him from such disparate impact. The court ruled that, while protecting employees from disparate impact age discrimination, the ADEA did not extend that same protection to outside job applicants. The pertinent section of the law prohibits employers from segregating or classifying employees in any way which would deprive or tend to deprive individuals of employment opportunities or otherwise adversely affect their status as employees, because of their age. Applicants, the court indicated, have no status as employees. The applicant, however, argued that the reference to “individuals” included applicants. The court countered that the text must be taken as a whole, not focus on individual terms taken out of context. Therefore, “individuals” were those with status as employees. Since Congress chose its words carefully when crafting the law, the court pointed out that that applicants do not have protections from disparate impact under the ADEA. Some judges in the case, however, dissented. Disparate impact involve neutral policies or practices that have a disproportionate, adverse impact on any protected class; these are often unintentional practices that affect or could affect multiple people. Disparate treatment, on the other hand includes intentional acts of overt discrimination against individuals. While discriminating on the basis of age can be risky in any employment situation, some courts (and judges) can find that applicants do not have all the protections that employees have. Careful consideration of all the facts and risk analysis continue to be a best practice. 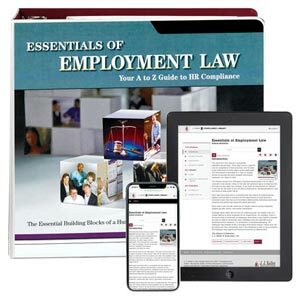 This article was written by Darlene M. Clabault, SHRM-CP, PHR, CLMS, of J. J. Keller & Associates, Inc.
J. J. Keller's Essentials of Employment Law Manual covers more than 100 vital HR topics, including FMLA, ADA, HIPAA, FLSA, COBRA and more. J. J. Keller's FREE HR SafetyClicks™ email newsletter brings quick-read safety and compliance news right to your email box. Sign up to receive HR SafetyClicks™.